Are battery-powered carts right for you? 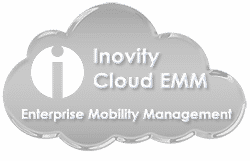 Take a free Mobility Audit. Now more than ever, businesses have a greater need to improve efficiencies and raise productivity levels. Adding mobile powered carts and mobile industrial workstations to your warehouse, distribution center or retail floor can save your business thousands of dollars per year. By eliminating just 8 minutes from an hour of walking time back and forth to a computer or printer, you can save $7,000 per year. Add 10 carts and save $70,000 annually! Make the most of employee time. Where can battery-powered carts be used? As an integration partner with mobile cart manufacturer, Newcastle Systems, Inovity can bring complete mobile workstation solutions to your business. Take a Free Mobility Audit and learn if powered carts are right for you!